After several years of monumental and welcome changes to Junior and Senior Cycle PE curricula, the PEAI acknowledges the excellent CPD provision currently being provided to our colleagues in both the JCT and PDST. 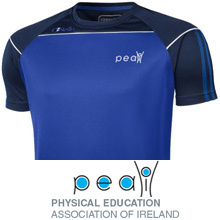 Over the past 18 months, the PEAI have received numerous requests from members who are continuing with the JCPE (2003). Our members have requested guidance on how best to align the 7 strands of JCPE (2003) to the key skills, key principles and wellbeing indicators present in the new Wellbeing guidelines. 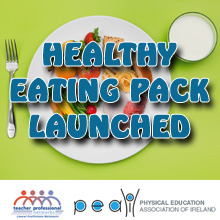 In response to our members requests, the PEAI Executive have developed 7 sample Appendix I’s linking the Wellbeing guidelines to JCPE (2003). These documents will assist members incorporate the key components of the Wellbeing guidelines and the JCPE (2003) syllabus into their own planning, using examples which are currently not available elsewhere.